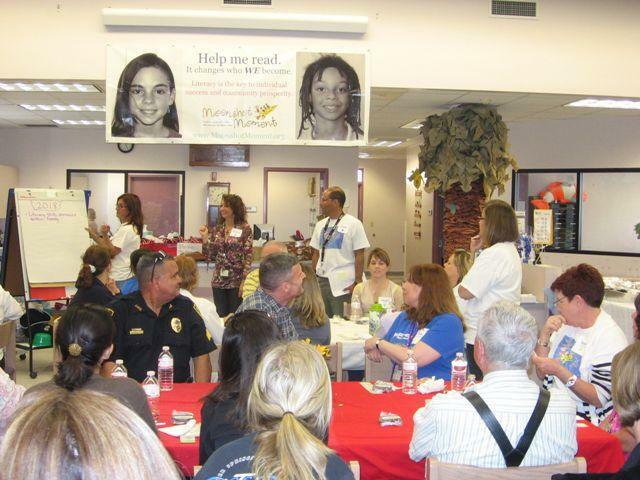 On April 1, 2013, a large group met at Fellsmere Elementary over an amazing lunch, to show their support for the Moonshot Moment 90% Literacy Goal! The group went through the "reverse visioning" process to develop strong support for the literacy goal. This group will be doing great things to ensure the children are ready for kindergarten, are reducing or eliminating the summer slide, and improving attendance rates to ensure the children are in school learning.